The international derivatives exchange EUREX, jointly operated by Deutsche Bourse AG and SIX Swiss Exchange, organizes markets globally. 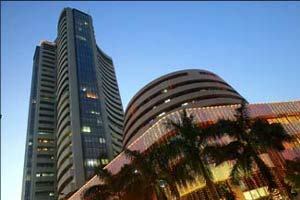 Since 2007, Deutsche Bourse holds a five percent stake in the Bombay Stock Exchange. EUREX is home to the Euro zone interest rate and equity index benchmark derivatives. EUREX will be the first exchange to launch Indian equity index futures and options outside India. Offering futures and options on one single platform allows market participants to use combined trading strategies (for example volatility trades) and permits cross margining between the two contracts. With the launch of SENSEX derivatives EUREX, it provides new opportunities for customers seeking an appropriate hedging tool for Indian exposure or arbitrage trading EUREX SENSEX Futures and Options will be denominated in U.S. dollars and settled in cash. More options for the institutional guys, not much for individual traders.